Once again, the car gods are on their side. 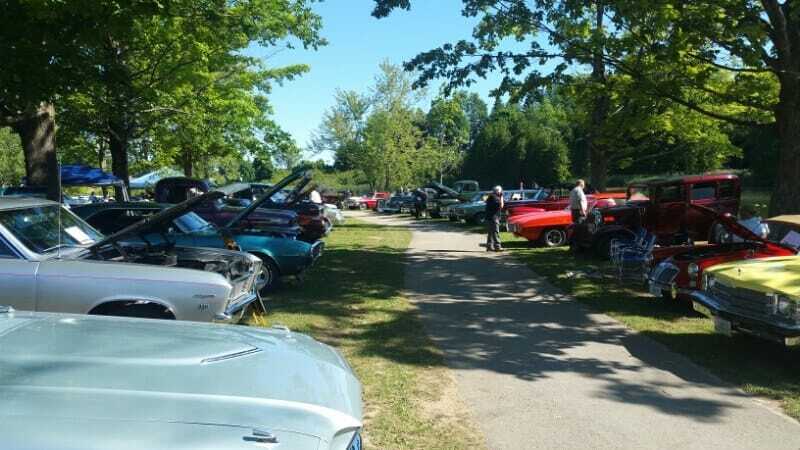 The Chesley Kinsmen held their 17th Annual Classic Car Show in the park using the river as a spectacular backdrop. 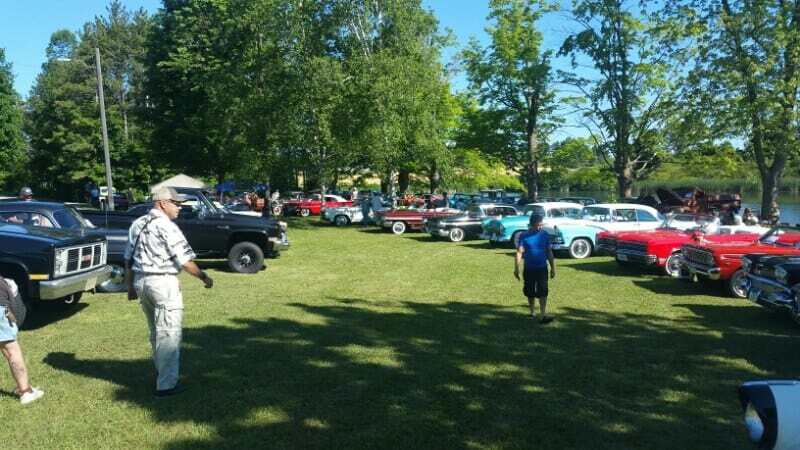 Many cars came from far and near to bask in the sunshine and to take a trip down memory lane. Joseph J Entertainment was again asked to come a play music for the attendees. Kudos to the Kinsmen on putting on a great show. Car Enthusiasts should put this event on their calendar. Joe great on the music once again. 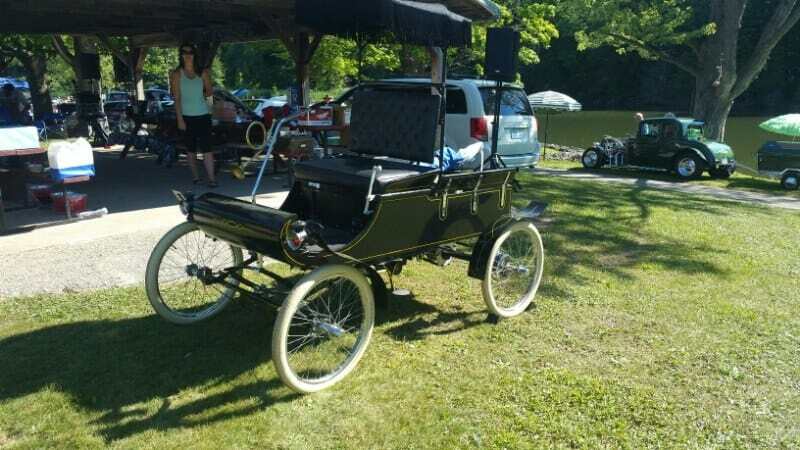 Can you send me all the pictures you took .we forgot to take any.There was a lot of vehicles l have not seen before at our show .hopefully everyone had a good time.I have to apologize for the chlorine tasting coffee,the boys forgot to get bottled Water! Usually there is maybe 1 car l would like in collection,but yesterday there a lot of cool rides.A couple of my favorites the 1934 Belair red convertible that came from Thames ford. I knew the previous owner Larry Price. Also the fresh build of 70 challenger of Rick Knapp. Thanks to every one who brought the’re great rides. I’d love to Bob, but I posted all I took. I have so many from over the years that I just took what I posted.